No explicit connection is made in the study between the exclusion of Planned Parenthood clinics and fewer women obtaining long-lasting forms of contraception. Oh. So “study guesses that defunding Planned Parenthood hurt birth control” would be a more accurate headline. But the spin that “their finding suggest a likely policy link” anyway is almost obligatory, in light of the fact that the pro-abortion, pro-population control Susan T. Buffett Foundation funded part of the study. Even granting the authors’ assurance that “the foundation had no hand in the research,” they would surely be displeased if they came out completely empty-handed for their investment, and disinclined to finance the same researchers in the future. Researchers looked at the number of women who obtained birth control through state-funded family planning services in the two years before and after Planned Parenthood was removed from the Texas program. 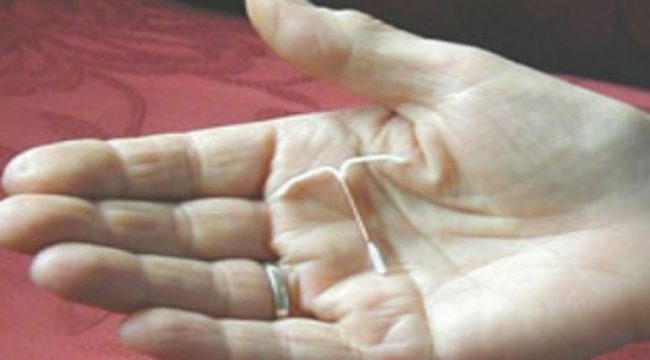 They found that claims for long-acting methods of birth control — which included contraceptive implants, intrauterine devices and contraceptive shots — dropped by roughly one-third. No significant change was noted in women obtaining short-acting methods, such as birth control pills and contraceptive rings, which were the vast majority of claims. So not only do they not establish a causal link, they actually concede that the “vast majority” of birth control methods in use were unaffected by what is supposedly the most outrageously anti-choice state in the country (no wonder, because it’s actually widely available and affordable even without Planned Parenthood). Kind of buried the lead there, people. Bryan Black, a spokesman for the Texas Health and Human Services Commission, said the number of clinics offering women’s health programs had doubled since 2014. Two of the five named authors on the report work at the state health agency. “The truth is, funding for women’s health is at an all-time high for Texas. We’ve substantially grown our provider network,” Nelson said. Ultimately, this study is just the latest in a long line of failed attempts to scientifically prove pro-lifers wrong. In November, University of Texas researchers also tried to prove the preposterous claim that the state’s pro-life policies were responsible for almost a quarter of a million women attempting self-abortions, yet the study didn’t actually determine where or when the abortions took place, it dubiously extrapolated their wild numbers, and didn’t even have a control group or ask interviewees why they attempted to self-abort. Also that month, another Buffet-funded “study” attempted to prove that letting non-physicians perform abortions was safe – by neglecting to follow up with 30% of participants and by simply ignoring a more than doubled likelihood of dangerous, incomplete abortions. In the real world, research is the acquisition of facts and study of cause-effect relationships, to objectively refine our expectations of what works and what doesn’t. But in the pro-abortion world, research is simply politics by other means, authoritative-sounding window dressing for an agenda that never changes. Which is inevitable, really—for a movement centered around rejecting the basics of biological science, claiming some numbers mean what they don’t every now and then is nothing.